J.J. Yeley will be among the 41 drivers attempting to qualify for Sunday’s Coca-Cola 600 on Thursday evening at Charlotte (N.C.) Motor Speedway. If he makes the race, his second start of the 2018 season, Sunday’s race will be the debut of the No. 7 NY Racing team. “I’m very excited to have a new partner @steakhouseelite for this weekends (sic) @CLTMotorSpdwy Coke 600! First race and a sweet looking @Nyracingteam Chevy #7 @brendandroppo designs,” Yeley (@jjyeley1) tweeted. Beyond Sunday’s race at Charlotte, specific plans for NY Racing haven’t been revealed, but in a press release from the team, the sponsorship arrangement between NY Racing and Steakhouse Elite is a multi-year deal. 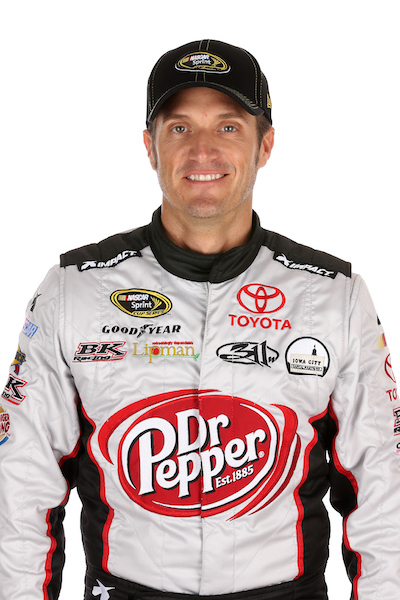 Yeley drove the No. 55 Premium Motorsports entry to a 31st-place finish at Martinsville (Va.) Speedway in March, his lone 2018 start, to date. In 259-career starts, including two full-time seasons as driver of the No. 18 Joe Gibbs Racing entry in 2006 and 2007, Yeley has two-career top-five finishes. His career-best was a runner-up showing in the 2007 Coca-Cola 600. He also has eight-career top-10 finishes in the Cup Series. Yeley has been racing full-time in the NASCAR Xfinity Series this season as a teammate to Ryan Sieg on a Sieg family-owned team.